Here is another book that I chose to read because I heard about the movie about to come out. 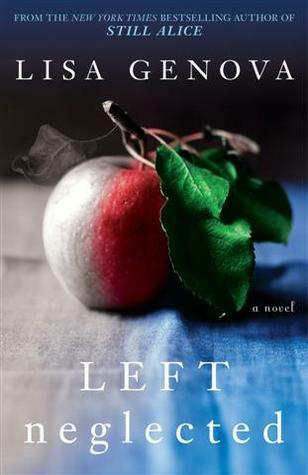 I also loved Left Neglected by this author, so I picked this to read. I cannot believe this was Genova’s first novel. It was wonderful. We meet Alice Howland, a successful Harvard professor and lecturer. She and her husband are extremely busy, flying all over the country for research, speeches, and such. Their three grown children are out of the house and on their own (sort of). One day, when Alice goes on her daily run, she realizes she has no idea where she is, though she has run the same way for years. Another day, she is giving a lecture, and she completely loses a word. Realizing something is wrong, Alice goes to a neurologist, and is shocked when her diagnosis is early onset Alzheimer’s disease. She is only 52. 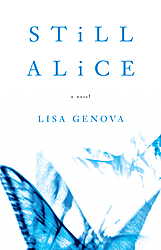 Genova then takes on a heartbreaking journey, with Alice and her family, as they grapple with their new reality. This book, much like Matthew Thomas’ We Are Not Ourselves, left me shaken. The harsh reality of this disease, especially the early onset type, is heartbreaking. To so slowly lose yourself, or someone you love is a nightmare to me. The only other disease that elicits this type of dread for me is ALS. As the daughter of a parent in their 70s, I pray that this is not something I have to experience firsthand. Genova handles this topic with honesty and compassion. When Alice can no longer follow the story of a book, her husband John buys the movie versions of the ones she wants to read. Her eldest Anna, make books up for Alice- with stories about each family member. One of the most heartbreaking scenes is when Anna, who is trying to get pregnant, learns she carries the gene that causes the disease, and that she can pass it on to any children she has. With brutal honesty, Genova shows John pull away, thinking of his own career and life. I loved this book, though I had a very unsettled feeling after reading it. Alice Howland—Harvard professor, gifted researcher, and lecturer, wife, and mother of three grown children—sets out for a run and soon realizes she has no idea how to find her way home. She has taken the route for years, but nothing looks familiar. She is utterly lost. Medical consults reveal early-onset Alzheimer’s. Alice slowly but inevitably loses memory and connection with reality, as told from her perspective. She gradually loses the ability to follow a conversational thread, the story line of a book, or to recall information she heard just moments before. 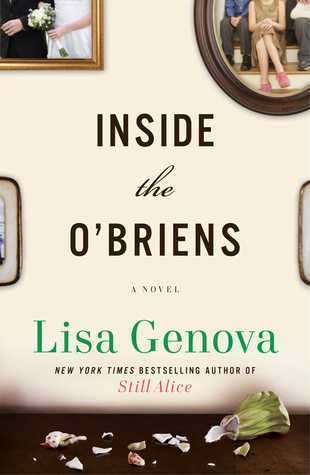 Genova’s debut shows the disease progression through the reactions of others, as Alice does, so readers feel what she feels: a slowly building terror. 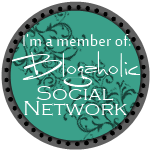 I’m a Harvard-trained Neuroscientist, a Meisner-trained actress, and an entirely untrained writer!